At this page you will find all news, announcements and event info submitted by CPESSEC Members but not available via other defined categories (Projects, Documents, Activities and Statistics). 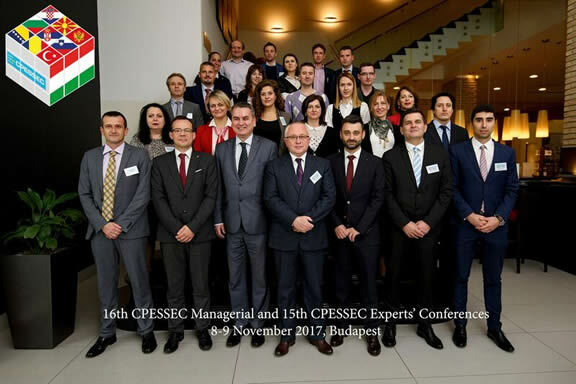 The first day of the CPESSEC conference contained numerous presentations by invited speakers as well as the representatives of the member states. After the opening speech by Mr Attila István Simon, deputy-state secretary of the Hungarian National Ministry of Economic Affairs, the representative of the ILO, Ms. Daniela Zampini gave a presentation on 'Vulnerable employment, underemployment and skills development'. In her speech she emphasised that - despite the decreasing resources of the PES - it is important to move beyond the unemployment register or the statistically visible unemployment identified by the Labour Force Survey and reach out to other non-traditional groups such as the inactive, informally employed, underemployed, migrants. The demographic pressure in most countries demands or will soon demand that specific services or specific guarantees would be provided to these groups. Unemployment figures are no longer the only indicators of labour market health and the quality of jobs should now receive as much attention as the quantity of jobs. Labour underutilisation such as time-related underemployment or neglect of potential labour force willing but unable to find matching jobs has become a significant concern. Even though a decrease in unemployment figures may be warmly welcome, the underlying factors should always be taken into consideration. A drop due to people disappearing from the labour force because of insufficient wages or diminished benefits is naturally not a positive tendency. Another key message of the ILO presentation was that the future of work is undergoing significant and rapid changes. Technological development will soon lead to a complete rearrangement of the labour market and skill development would have to follow suit.